Make VBS your child’s “mane” event this summer! Registration for Vacation Bible School, 2019 opens the week of March 4th. Don&apos;t miss it. Spaces fill quickly! Monday, June 10 – Friday, June 14 from 9am-12pm. 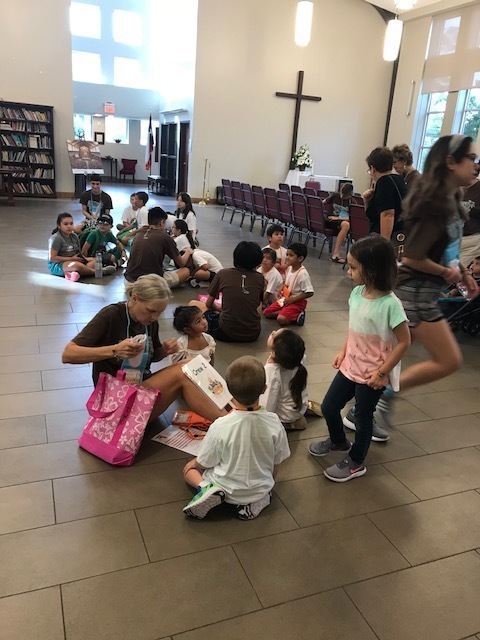 Thank you to all our Volunteers who made Vacation Bible School 2018 a great success! We had a wonderful week of Bible Stories, Crafts, Games, Sacks, Videos and Music! Thank you for sharing your faith, your time and your many talents with the youngest members of St. Theresa!